Who doesn’t want access to less costly organic fruits and vegetables year-round? 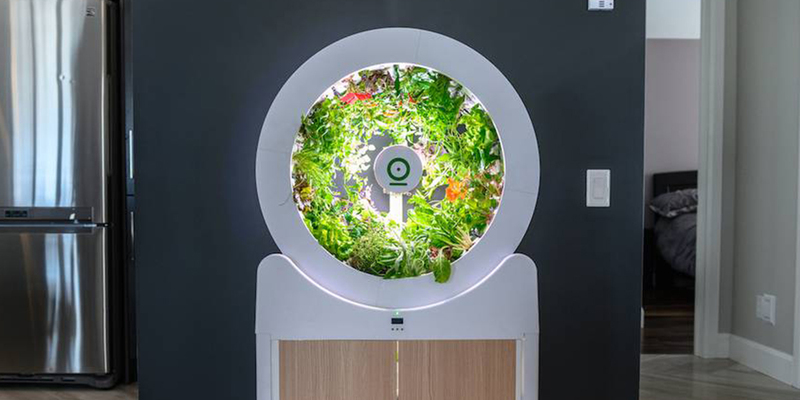 Thanks to the new OGarden Smart system, this may soon be a reality for all. The rotating garden can grow up to 90 plants at any given time. Furthermore, it has an automatic watering system — a relief for anyone who doesn’t have a green thumb. According to TreeHugger, the Ferris wheel of sorts can hold up to 60 plants at various stages of growth. As the wheel steadily turns, the roots of the plants are dipped into water at the bottom. They are continuously nourished by a 120 watt LED in the center. 30 seedlings can fit in the incubator below. The seedlings are started in cups filled with organic soil and fertilizer. They, too, are also automatically watered. All one has to do is ensure the water reservoir stays full. This isn’t too hard, as it dries up every 10 days or so and a warning will pop up if you forget. Once the seedlings are sprouted, they are transferred to the wheel. After reaching maturity, they are harvested. The entire process takes 30-40 days, after which the seed cups and the plant roots can be composted. Then, the process restarts. With 60 plants approaching harvest and 30 sprouting below, you’re able to have a continuous supply of fresh produce. 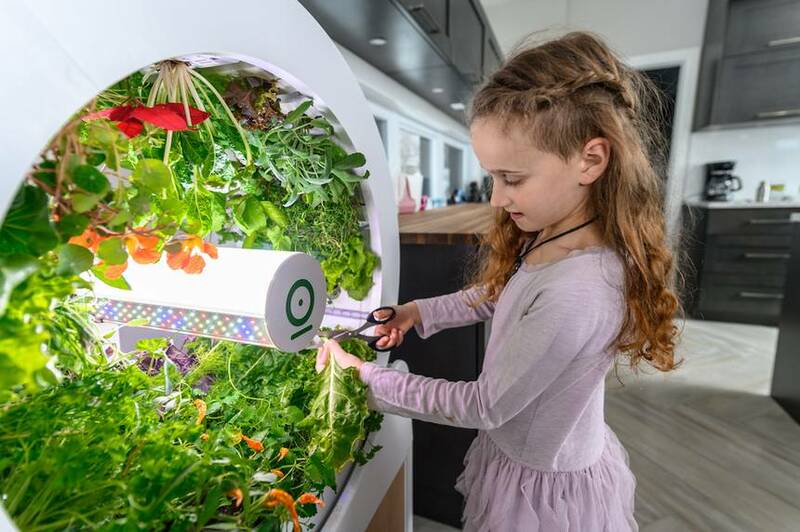 “There are 90 available spots, so with a good rotation, you can have 2-4 large vegetables a day, every day,” OGarden Smart added. The company boasts the ability to grow everything from celery and kale to bok choy and strawberries. Herbs can also be grown year-round to add a little flavor to homemade stews and salads. How much does it cost? No surprise, the OGarden Smart system is not cheap. It is presently retailing for CAD$1,463 (USD$1,095). However, the creators urge potential buyers to consider how much they will save long-term in grocery bills. Home-grown organic vegetables are approximately 70 cents per plant — a stark contrast from organic produce obtained in supermarkets. “According to the U.S. Department of Agriculture, it costs a family of four an average of $850 per month for groceries. 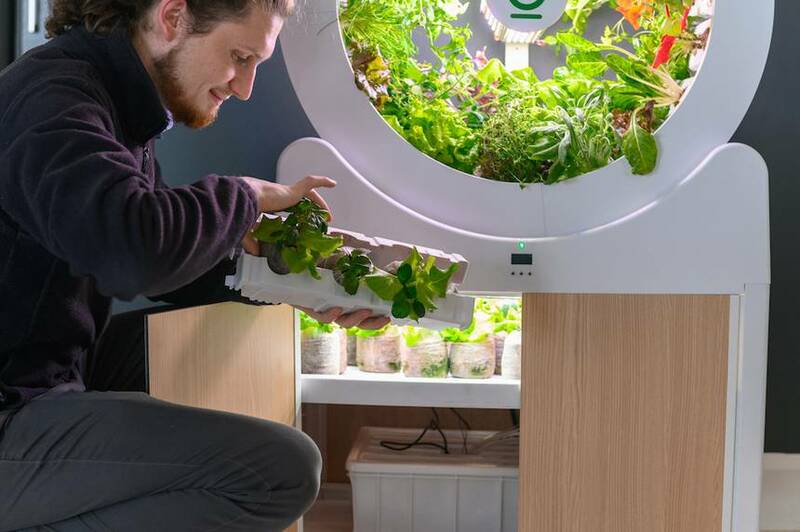 OGarden Smart can save you up to 80% on your veggie expenses – allowing you to cut down your grocery bill.” Based on this calculation, the system could pay for itself within a few months. The company launched two Kickstarter campaigns to fund the OGarden Smart system. After the first redesign, the company added automatic watering, automatic LED lighting, 10-day water autonomy, and a water warning system. It measures 53″ tall x 29″ wide x 15″ deep. Empty weight is 61 lbs, full weight is 100 lbs. Visit the company’s website to learn more.
? 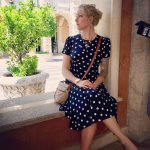 8 Revealing Reasons Why Living Alone Can Improve The Quality Of Your Life Random Dog Joins Half-Marathon And Finishes 7th ?